The government of the Union Territory of the Andaman and Nicobar Islands has sent a proposal to the Central government requesting that saltwater crocodiles be delisted from Schedule 1 of the Wildlife Protection Act (WPA), 1972. The request has been raised in order for the Andaman authorities to control the growing saltwater crocodile population in the islands and the resultant rise in human-croc conflicts. The proposal was sent three months ago and is awaiting consideration. If it is approved, experts from the Wildlife Institute of India (WII) and private organisations such as the Madras Crocodile Bank Trust will be roped in to draw up a plan. “Even if they have asked for the saltie to be delisted (just for Andaman) from Schedule 1, one has to find out, which category/schedule it will now be placed into,” M K Ranjitsinh, the architect of the WPA, 1972 told Down To Earth. “If you move it to Schedule 2, it is still protected. However, if you move it to the ‘Vermin’ category, then there is a problem. It will be followed by a spate of recommendations from a number of states to scale protection of various species. That would be a dangerous precedent,” said Ranjitsinh. To what schedule or category, the saltie will be moved to remains unclear at the moment. Certainly, the Mint report has set the cat among the pigeons. Down To Earth spoke to Denis Giles, Editor of the Andaman Chronicle, a Port Blair-based paper, who had also been quoted in the Mint Report. “I have not seen the proposal personally. I have only been told by the Mint’s reporter that they have a quote from the principal chief conservator of forests. And if it is true, then I am in complete shock. 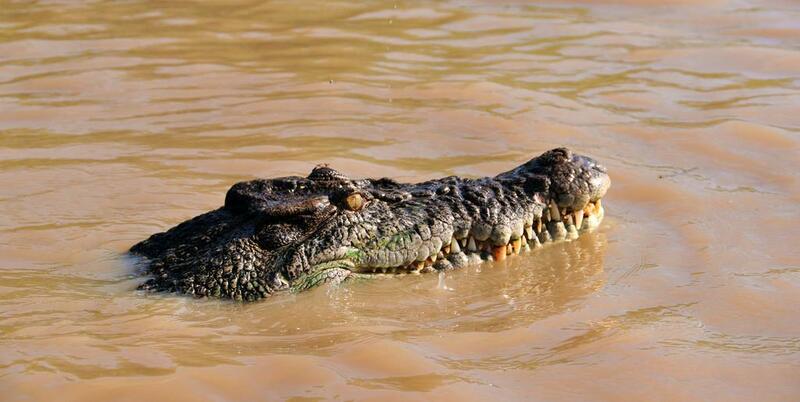 How can you kill 1,700 adult crocodiles when there are ways like geo-tagging to track of their movement? This cannot happen,” he said.